Following up from our March preview of Fila’s latest spring collection is a new line just in time for the second slam of the year at Roland Garros. 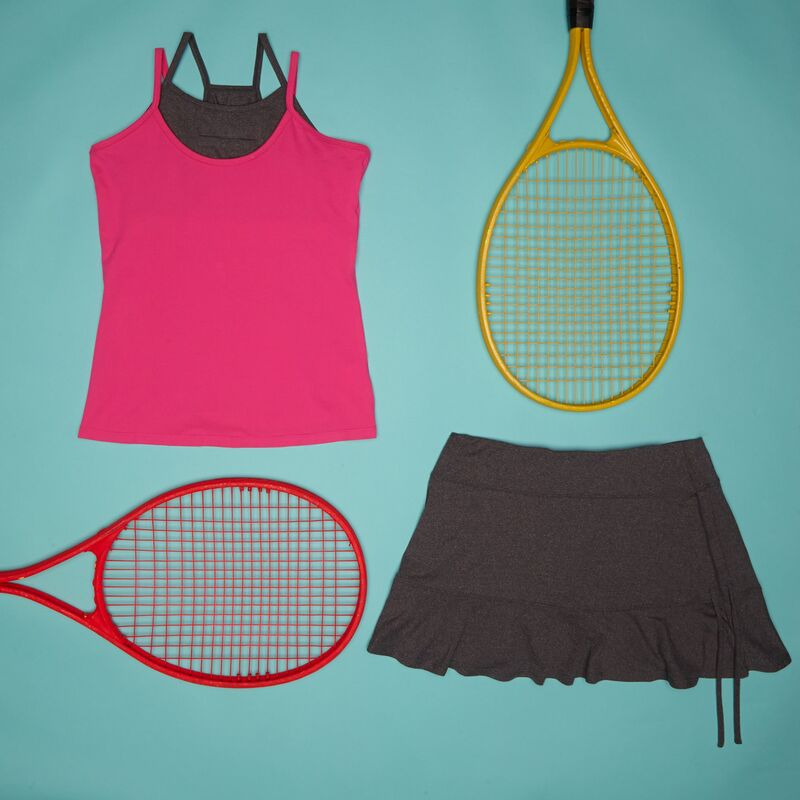 See what the fashionistas of Fila will be wearing as they slip-slide their way onto the red clay courts of Paris in this week’s Style Seeds Exclusive. This season draws upon traditional Grecian-inspired clothing for Fila’s aptly named Goddess collection that will be worn by the brand’s two headliners, Jelena Jankovic and Julia Goerges. Playing on ruching and drapery whilst embracing the female form, the Goddess collection encapsulates the easy nature of summer dressing. Fila’s Goddess dress ($95) available in chic black and white features a wrap panel, ruching and pleated hem, supported with a built in bra. The collection offers five top silhouettes in black, white and lime starting with the cami tank which will feature a center-front rushing panel, practical adjustable classic straps and an inbuilt bra for support. Fila’s wrap tank takes on similar elements, only offered with a mock wrap front with side rushing. Sporting one combination of the Goddess collection separates is Jelena Jankovic. The Serb will be seen in a fresh lime colorway in a Goddess strappy back tank and coordinating Goddess zip slit skort. Julia Goerges, meanwhile, will showcase the Fila’s Goddess cap sleeve top that will feature an overlap back with a design detail shuring and key-hole cut out completed with a Goddess zip slit skort. The final top design in the collection will be a Goddess long sleeve for chillier climates that will incorporate familiar ruching and a flattering boatneck design. Aside from the zip slit skort that features an invisible zipper and forza ball short, the bottom will be a handkerchief skort design featuring a forza ball short and COOLMAX® EVERYDAY fabric crotch lining. All designs will showcase the signature silver cut out of the F-Box logo. Aside from the Goddess collection is a secondary women’s line nicknamed the Fila Spirit collection. Showcased will be two tank designs, the Spirit double layer tank features a contrast color inside bra with a center front pocket and adjustable straps, while the triangle back tank comes with an inbuilt bra and contrast color binding at the armhole and neck. Paired with the tank designs will be a variety of bottoms inclusive of the drawcord skort, double layer short and lounge capri embellished with Fila’s jacquard elastic on the waistband. Fila’s classic shades of navy will get a Roland Garros summer overhaul thanks to their new Heritage collection for men, inspired by nautical and classic stripe motifs. Interweaving the traditional colorways will be a jolt of turquoise alongside innovative laser perforation and comfortable no-sew seams. 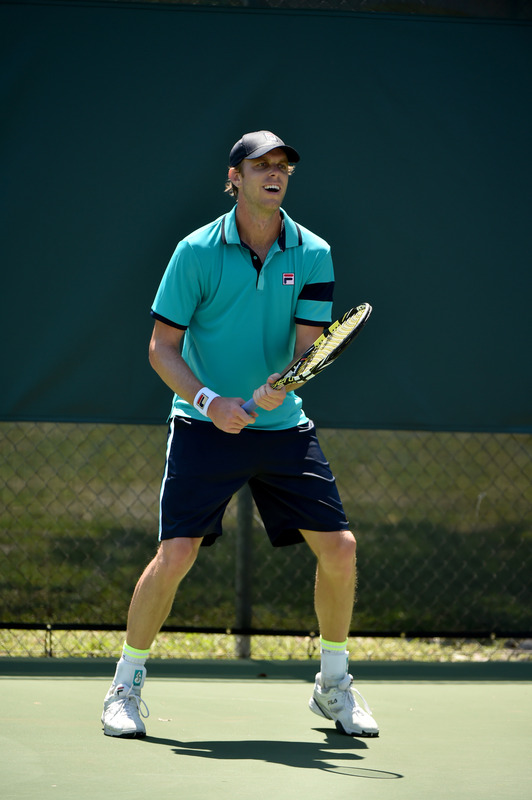 America’s bullet-serving Sam Querrey will set Fila’s precedent in a Heritage polo that will incorporate a classic design with a rib knit collar and cuffs — as well as a no-sew placket, perforated laser cut logo and sutash side vent. 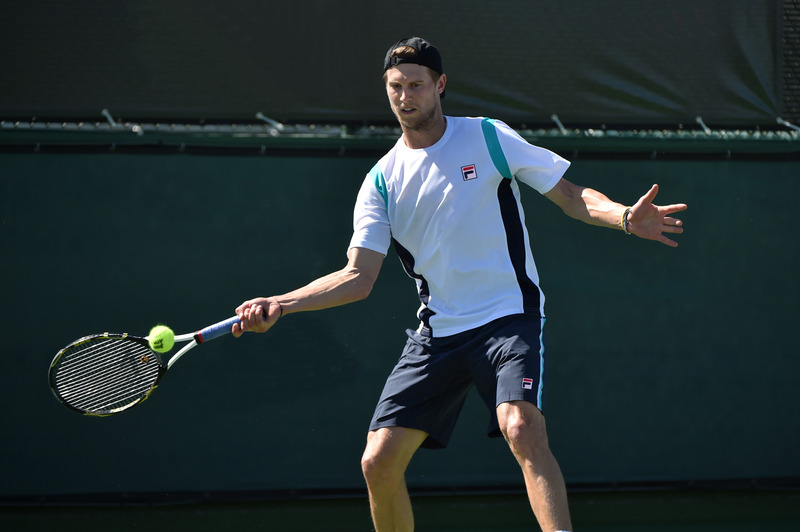 Italy’s Andreas Seppi will set about the clay in Fila’s Heritage short sleeve crew neck featuring a breathable perforated laser cut hole design, along with logo embellishment on the side panel and an embossed neck tape. 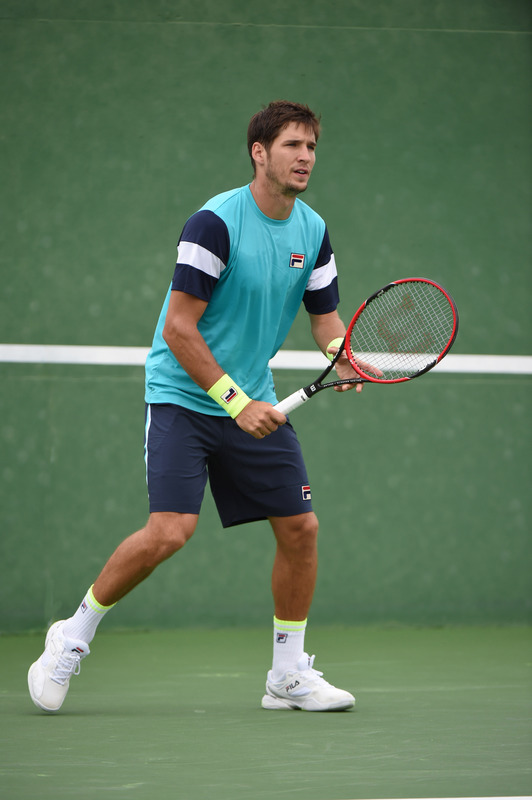 Finally, Serbia’s Dusan Ljovic will take to the court in the Fila Heritage body mapped crew: a complex design piece with a tonal knit mesh jacquard, sutash tape central back neck band and an embossed neck tape. The Goddess, Spirit and Heritage collections will be available at Fila.com this summer, and remember to follow @FilaTennis to track the performance of all of their headline players at Roland Garros.